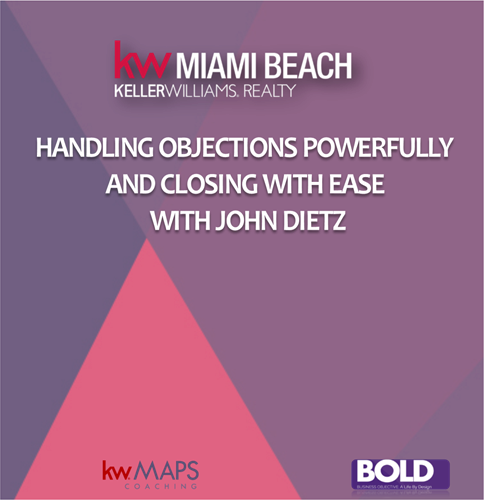 This class will equip agents for making the most of their leads by teaching them to field common objections. How to lead generate for sellers and have a business by design. Who to contact, when and how. Objections versus conditions. Why do we get objections? How to avoid them? 5 steps to handling objections over the phone and in person. The importance of pre-qualifying all of your appointments. Leading them to take action. Closing for the signature at the appointment. Students are encouraged to bring a list of the objections that they would like to learn handlers for and then spend the last class hour role-playing them.